Buy Felco original secateurs (model no 2): <ul><strong><li>Lightweight and strong</li><li>Comfortable to use</li><li>Lifetime guarantee</li></strong></ul><br>The original Felco secateurs, these make pruning a pleasure. In our view, the best all-round secateurs money can buy.<br><br> Strong yet lightweight, with solid handles forged from light aluminium alloy and blades from hardened steel, this top-quality tool is built to last.<br><br>Great for both light and heavier pruning, including cutting back dead wood, these are fully adjustable to give you the best cut for the job. The tempered steel nut and bolt and self-servicing key make it easy to precisely adjust both the cutting and anvil blades.<br><br>A sap groove on the anvil blade prevents sticking and removes debris from soft sappy stems, and a wire notch means you can cut small wires without damaging the cutting edge.<br><br>The soft ergonomic handles make them easy to grip and comfortable to use, and the rubber cushion shock absorber prevents wrist jarring and squashed thumbs.<br><br>All parts are replaceable, so your secateurs can always be as sharp as the day you bought them. A safety catch keeps the secateurs safely locked when not in use.<br><br>Felco secateurs are precision-made in Switzerland. Every pair is subjected to over 100 quality control processes, and comes with a lifetime guarantee against manufacturing defects.<br><br>Please note: it is an offence to sell knives and other cutting tools to persons under the age of 18 years. 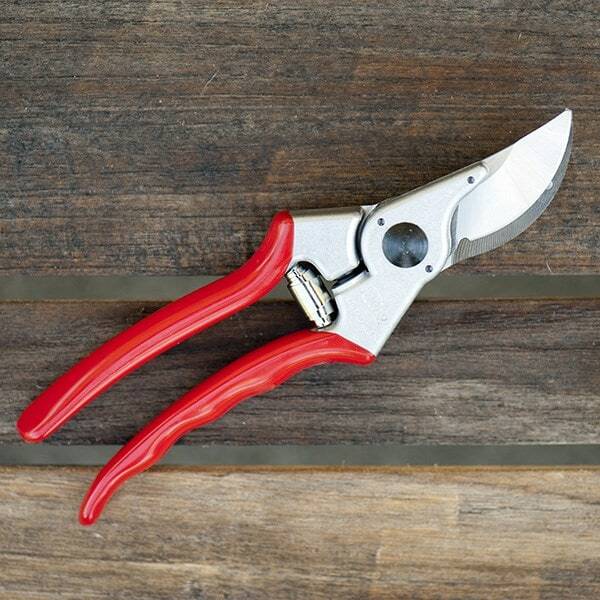 The original Felco secateurs, these make pruning a pleasure. In our view, the best all-round secateurs money can buy. Strong yet lightweight, with solid handles forged from light aluminium alloy and blades from hardened steel, this top-quality tool is built to last. Great for both light and heavier pruning, including cutting back dead wood, these are fully adjustable to give you the best cut for the job. The tempered steel nut and bolt and self-servicing key make it easy to precisely adjust both the cutting and anvil blades. A sap groove on the anvil blade prevents sticking and removes debris from soft sappy stems, and a wire notch means you can cut small wires without damaging the cutting edge. The soft ergonomic handles make them easy to grip and comfortable to use, and the rubber cushion shock absorber prevents wrist jarring and squashed thumbs. 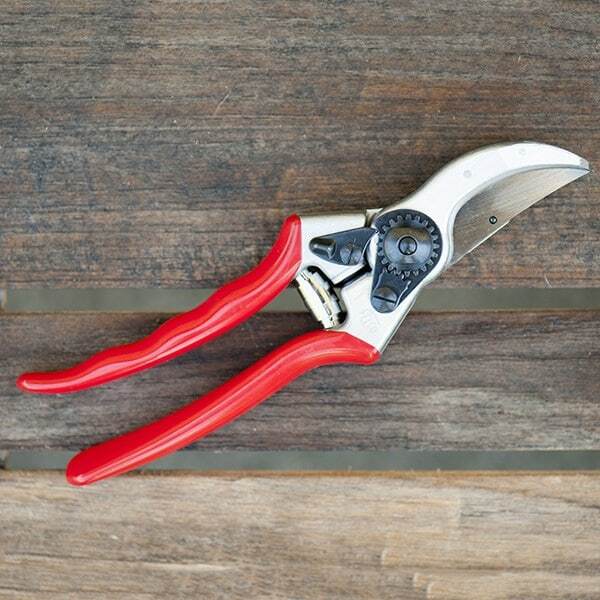 All parts are replaceable, so your secateurs can always be as sharp as the day you bought them. 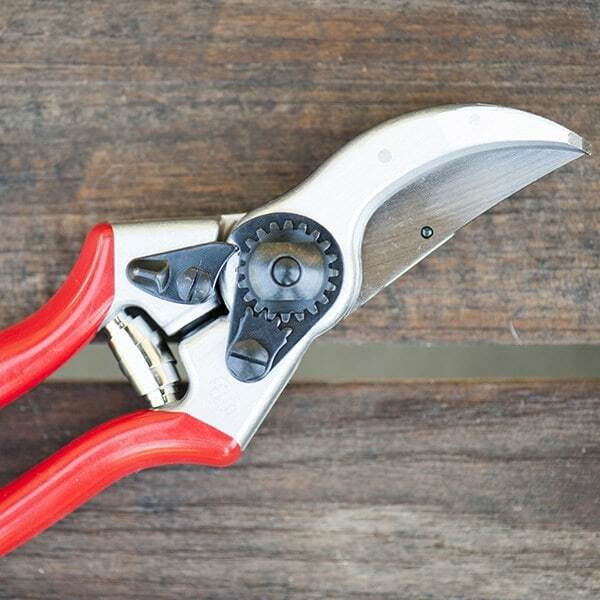 A safety catch keeps the secateurs safely locked when not in use.